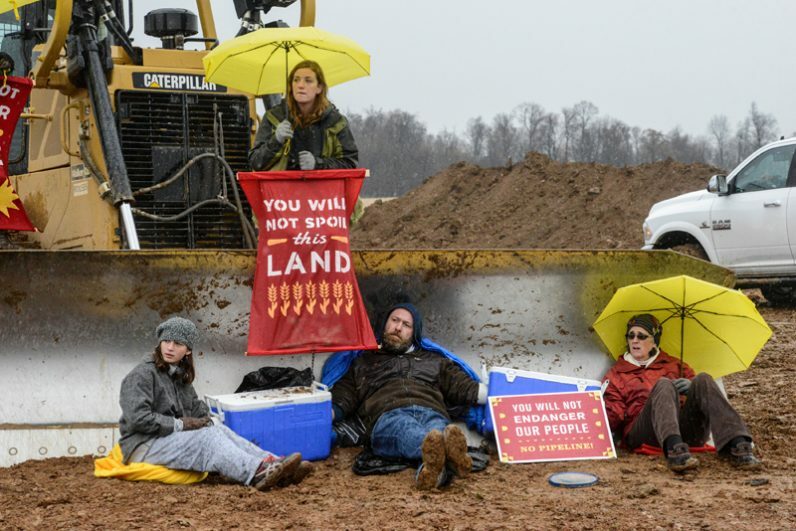 WASHINGTON (CNS) — A federal appeals court upheld a lower court ruling that denied the religious freedom arguments of a Pennsylvania religious order that sought to block a natural gas line from the sisters’ land because it violated their faith beliefs. In a July 25 ruling, a three-judge panel of the U.S. Court of Appeals for the 3rd Circuit agreed with the lower court that the Adorers of the Blood of Christ had not made their religious objections known during the federal administrative process that led to Federal Energy Regulatory Commission approval of the Atlantic Sunrise pipeline. Writing for the appellate panel, Judge Joseph A. Greenway Jr. specifically said the Adorers’ claims under the Religious Freedom Restoration Act against FERC and the Transcontinental Gas Pipe Line Co. was not something the lower court could appropriately consider. The Adorers expressed dismay with the decision, and a member of the congregation’s leadership team told Catholic News Service the order was weighing its next steps. “While historically, the federal courts have been the stalwart protectors and defenders of religious freedoms in our country, today’s panel sided with the interests of the power gas and oil industry over the religious freedoms of the Adorers,” said the statement emailed to CNS. “Thus, even though the Adorers are up against a powerful federal agency and a massive oil and gas industry with unlimited resources, the Adorers believe that their faith and religious beliefs will ultimately prevail. At issue is nothing less than the future of our sacred earth,” the congregation said. Sister Janet McCann, of the Adorers’ leadership team, told CNS she was saddened to see that various levels of the federal government had overruled arguments under the religious freedom law. “What our legal team has said all along is that the act supersedes any of the procedures that any other federal law has and we couldn’t file (a lawsuit) until our religious freedom was burdened, and that didn’t happen until after the procedure (to build the pipeline) started,” Sister McCann said. “A number of other land owners did follow all of those procedures and they jumped through all of those hoops. The pipeline is still on their property,” she said of others who opposed the project. Sister McCann said members of the order in Pennsylvania likely will join other vigils and nonviolent demonstrations along the pipeline route to continue to voice their opposition to new fossil fuel development to stress that alternatives are available. “We’re continuing to find other groups and individuals who are interested in the health of the planet and the future for generations to come,” she said. Williams, the company building the 200-mile pipeline through its subsidiary Transco, welcomed the court’s decision. The panel’s opinion essentially said the Adorers voiced their objection too late in the administrative process. He wrote that despite receiving notice of the proposed pipeline in 2014, the Adorers never publicly objected to the project until filing the lawsuit citing their religious freedom claims in July 2017, five months after FERC granted Transco permission to build the pipeline. The company built the pipeline through farmland the Adorers lease last fall after the district court dismissed their claims. The Adorers appealed the decision, but after a brief delay, construction was allowed to continue. The pipeline prompted citizens to form Lancaster Against Pipelines, named for the county in which a large portion of the 200-mile pipeline passes. 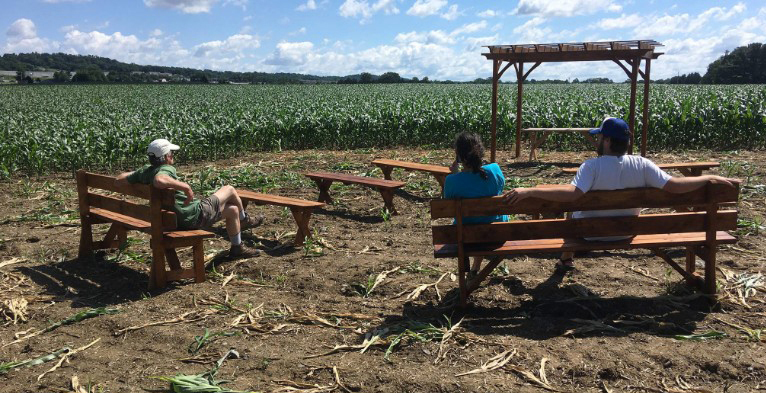 The Adorers permitted the group to construct a simple chapel on their land near the pipeline route and it has served as a gathering spot for prayer, reflection and organizing to protest the project. The congregation has opposed the pipeline since it was proposed four years ago, saying that allowing it through their property would run contrary to their 2005 Land Ethic. The document holds that all land created by God is sacred and that the fossil fuel project would desecrate the landscape.